We live in an age of excess. People have more clothing, more toys, more stuff than ever before. Everyone seems to associate more with better. The same is true when people are shopping for a hot tub – they always want to know how many jets it has. Although this isn’t inherently a bad question, it also isn’t the best question. We want to dispel the myth that more jets are always better because that simply isn’t true. So let’s look at 2 better questions to ask. Are there various types of jets? You may think that a jet just shoots out water and that’s it, but there are actually several kinds of jets that create a totally different feel. 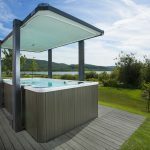 Having a variety of jets within your hot tub means that you’re getting the best in relaxation and muscle relief. 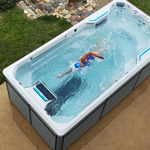 Each jet is designed to target a specific muscle group or area of your body. The jet that provides soothing massage to your feet isn’t the same kind of jet that eases the tension in your neck. So, when a company fills their hot tub with a ton of the most basic jets it may sound impressive, but in reality it’s really just a bunch of water hitting you without intentional purpose. 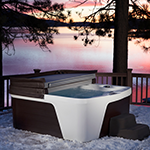 A hot tub that offers a variety of jets is going to give you a much more relaxing, effective soak. Are the jets high quality? Chances are, if a company pushes the number of jets but the price tag doesn’t seem to follow, it’s probably because they are cheap, low quality jets. They are also distributing the pump power across numerous, unnecessary jets so you aren’t getting quality power from any of them. Fewer, strategically placed and designed jets will provide a much higher quality massage. 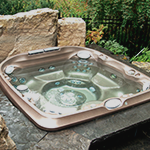 Hot tub jets are one place where the old adage “quality over quantity” certainly rings true. So instead of asking about the number of jets, ask about jet type and jet quality. 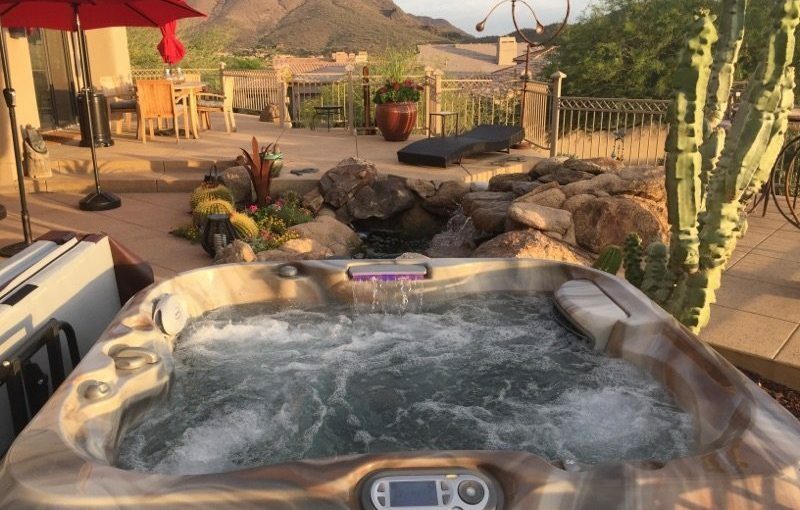 Don’t let the number of jets alone be the standard by which you judge a hot tub. 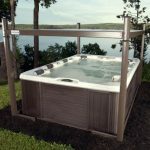 If you’re interested in learning more about the jets on the hot tubs we carry, stop by the showroom and let us show you what makes them so great!